Las Vegas comes to Beeville on March 23, when musical impressionist Carme Pitrello and his friends James and Kathy Taylor, local dance instructors and cruise ship performers, present the final program of the season for the Beeville Concert Association. The show is at 7:30 pm in the Gertrude R. Jones Performing Arts Auditorium inBeeville. The three renowned performers will present musical acts from their years of night club and cruise ship shows. A few of the Taylors’ top dance students will preview their May 19 patriotic recital at CBC and showcase the instruction the experienced dance team has provided for them. 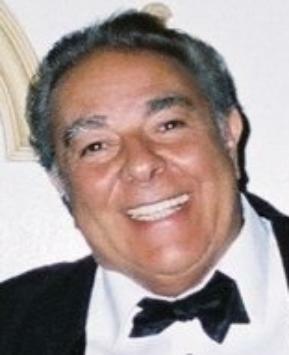 Italian baritone Carme is one of the most versatile performers to have ever worked the Las Vegas strip, billing himself as a “Las Vegas Original.” Carme’s Vintage Vegas show includes playful impressions of famous entertainers such as Johnny Cash, Elvis, Willie Nelson, Julio Iglesias, Tom Jones, Louis Armstrong, Sammy Davis and Dean Martin. Carme’s background is as diverse as his musical talents. He honed his stage skills as a stand up comic and singer in nightclubs throughout the United States before moving to Las Vegas in 1968. He has performed in every imaginable venue with major stars of stage, screen and television in his 50 years of show business. His work includes stunt man, burlesque comic, television performer, nightclub entertainer, and main room performer at virtually every casino on the strip in Las Vegas. Carme has done it all. For the last 15 years, he has brought his unique show to several major cruise lines. events, making frequent appearances at veteran’s hospitals and senior centers. Carme loves to read, is an expert horseman, an avid outdoorsman and an expert with a hunting bow. He composed a children’s Christmas song, Albert the Angel, that will be published this year, and has just finished writing Sing Deadly, which is being considered for a movie or television series. Tickets are $10 at the door for adults who do not hold BCA season tickets. CBC students are admitted free with their photo ID’s and students through high school age are also admitted free.